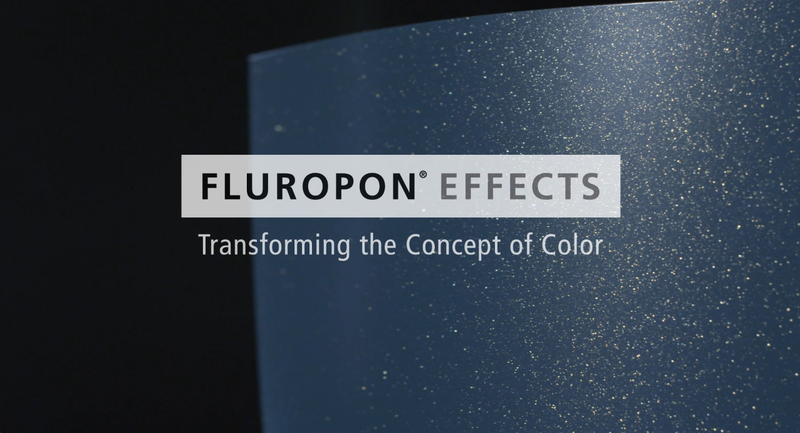 The Valspar Corporation introduces Fluropon® Effects, a new line of dimensional colors that feature an additional layer of sparkle, more richly saturated colors and color-shifting pigments. As part of Valspar’s Fluropon high-performance architectural coatings product offering, Fluropon Effects creates a new color space for the design community to explore. Like a walk through an autumn landscape, the Rustica family features a soothing, nature-inspired palette that has never before been available in the Fluropon line. Rustica provides a calming invitation to richer, more saturated colors, including some with a subtle color-shift. With an iridescent, multi-toned effect, Kameleon moves architectural coatings into a new level of color. Expanding on the initial color offering seen at AIA 2014, Kameleon’s color family now features a wider spectrum of intense, vibrant colors that appear to shift when viewed from different angles or in changing lighting. Also at AIA in booth 3717, Valspar will celebrate 50 years of Fluropon with a happy hour to toast the golden anniversary on May 14, 4-6 p.m. A photo booth with a professional photographer, fun props and Hollywood backdrop will be in Valspar’s booth throughout the expo for attendees to capture and share their snapshots on social media using #Fluropon50. Continuing the celebrations, Valspar will share images from AIA, customer success stories and more about Fluropon Effects on http://www.Fluropon50.com. The Valspar Corporation supports architects and designers with its high-performance coatings, industry-leading technical expertise, color-matching and sustainability resources, responsive customer service and high-priority lead times. Learn more at http://www.valsparinspireme.com.